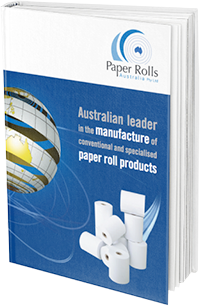 Paper Rolls Australia is more than just a leading Australian manufacturer of conventional and specialised paper rolls and paper roll products. We are a professional, service-oriented organisation - fully committed to providing our customers with an unmatched level of service and support - with over 50 years of proven industry experience that you can rely on. Formed by the purchase of Paper Rolls (& Forms) Pty Ltd in 2001 and now part of the Lamson Paragon Group, Paper Rolls Australia Pty Ltd has become an industry leader, with a team of dedicated sales people and a committed and experienced manufacturing team. We are a trade supplier of premium quality paper roll products for the retail, entertainment, banking, medical, gaming, communications and transport industries, with national distribution capabilities, supplying many major organisations around the country. Our Group has twelve web presses and a wide variety of unique manufacturing facilities including variable imaging, electronic billing, bulk mailing, inventory management, warehousing and distribution. 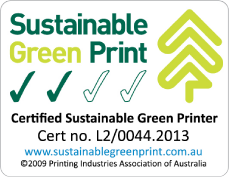 At Paper Rolls Australia, we have multiple slitter/rewinder machines and access to expert graphic design - enabling customised printing on most types of paper rolls. We run concurrent work loads and offer fast turn-around times. We are very flexible with our customers’ needs - no job is too big or too small. We have the capacity and capability to manufacture a very wide range of printed paper products in a timely and cost-effective manner - and we deliver Australia-wide. Our core strengths are our people, who understand and care about you and your customers’ needs. Management and Sales both have years of expertise in devising and supplying innovative customer solutions that work. Our manufacturing staff are highly experienced and dedicated to providing a quality product within the required time frame. We will work with you to get the best possible solution for both you and your customers. At Paper Rolls, we don’t just understand paper, we understand service, quality and accountability. We stand behind all of our paper roll products and can assure you of our best attention at all times. We understand that if we don’t service our customers, somebody else will !!!!! Whatever your paper roll requirement, contact us today and let us help you help your customers.